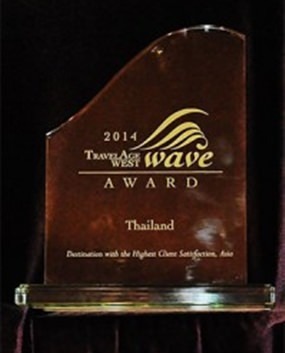 Bangkok / Los Angeles, 19 June 2014 – Thailand has recently been voted as the Asian Destination with the Highest Client Satisfaction Award at the recent 2014 WAVE Awards hosted by Travel Age West Magazine, a leading travel industry trade publication in the Western US. 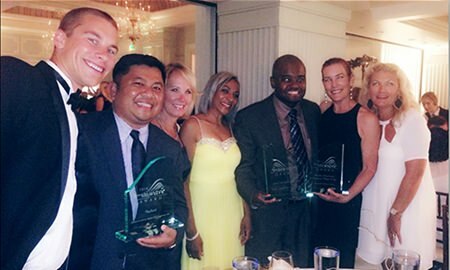 The Award was officially announced at the 9th Annual Travel Age West WAVE Awards 2014 held at Hotel Casa Del Mar, in Santa Monica, California, USA, on 5 June, 2014. This is the fourth consecutive year that Thailand has received this award. The Award also makes the latest in a string of accolades for the kingdom and its tourist offerings. The Travel Age West’s WAVE (Western Agents’ Vote of Excellence) Awards, now in its ninth year, aims at giving travel agents in the Western US the opportunity to recognise and celebrate the outstanding qualities and services of their travel-supplier partners. Every year, the magazine compiles a list of more than 150 travel suppliers, and invites its readers and travel agents from 14 western states to vote on what they consider to be the most deserving travel product providers. The final decision on winners is based on the Editor’s Pick chosen by the magazine’s Editor-in-Chief and the entire editorial team. 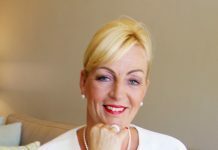 The results of online studies among a select group of travel agents, and on-site surveys are also taken into account when the list of finalists is drawn up. Other countries voted for in this award include China, Hong Kong, Japan and Singapore.